We simply eat too much of it. 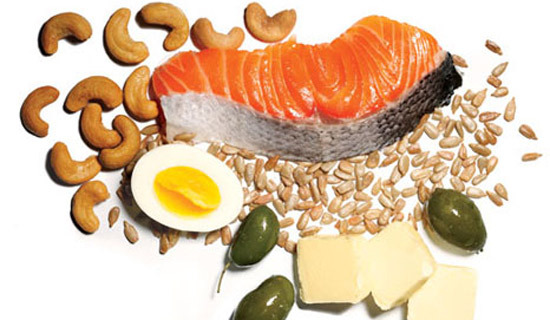 Dietary fats are a concentrated source of food energy. They are also the source of linoleic acid, an essential nutrient, and the fat-soluble vitamins A, D, E, and K.
While we all need some dietary fat each day, a tablespoon is about it. Many refined foods are loaded with the worst dietary fats. Triglycerides are fats that contain saturated, polyunsaturated and monounsaturated fats. Saturated fats are fatty acids that raise blood cholesterol levels. Margarine, butter, and fats in meat and dairy products are all especially high in saturated fats. Monounsaturated and polyunsaturated fats do not raise blood cholesterol levels. Each of these fats will be discussed in more detail later. The American Heart Association and the American Cancer Society suggest that we limit our fat intake to 30% of our total calories. Knowing what our foods contain is vital. Processed food using coconut oil, palm oil and palm kernel oil is highest in saturated fats. All oils are 100% liquid fat. All contain saturated fat, some more than others. Canola oil is the lowest in saturated fat but is often rancid by the time you buy it from a store (and has a low burn threshold). Dairy products are generally high in saturated fats. Unrefined foods high in fat are red meat, poultry, and fish. The more cholesterol and saturated fat you eat, the higher your blood cholesterol level and your blood pressure will be, both of these increase your risk of coronary heart disease. The excess salt and refined sugars added to refined foods will be discussed in detail at a later point, so I hope you’ll keep reading through this site. Bookmark it and come back later, if you need to! This is important information for you and those you care about.